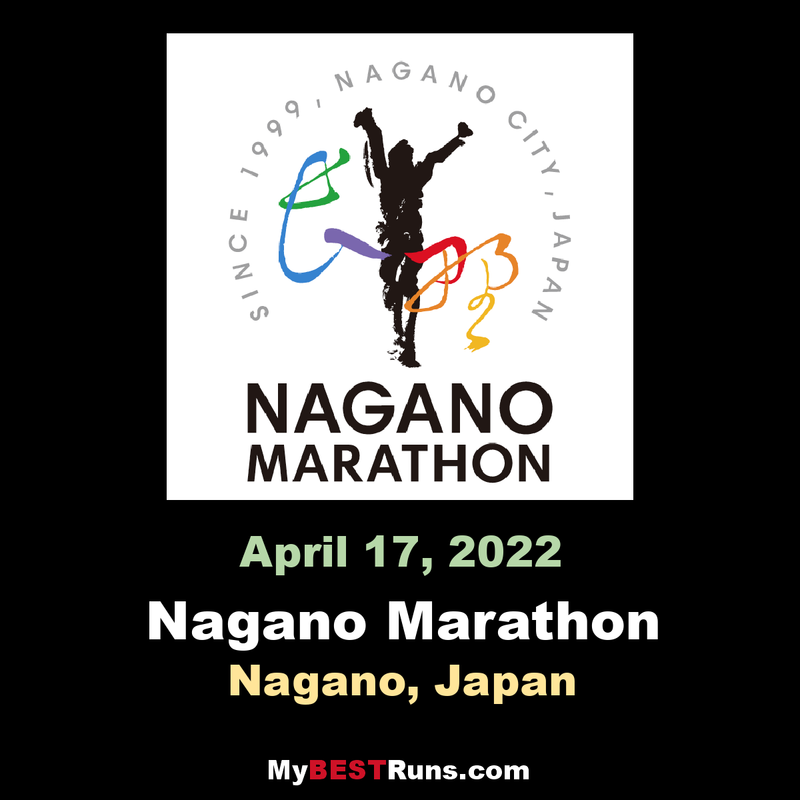 Jackson Kiprop became the first Ugandan winner of the Nagano Marathon while Meskerem Hunde won the women’s contest at the IAAF Bronze Label road race on Sunday (21). Both races were close. 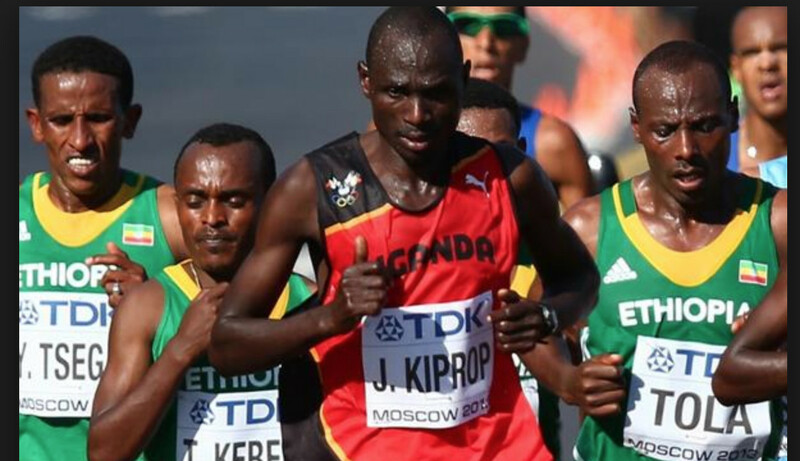 Kiprop, who finished 10th in the marathon at the 2013 and 2015 IAAF World Championships, won the men’s race by just three seconds in 2:10:39, while Meskerem won the women’s race by 14 seconds in 2:33:32. 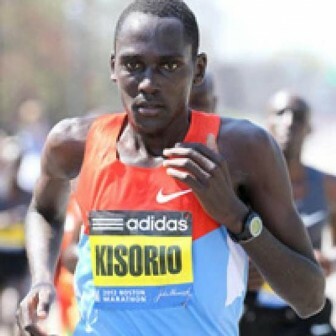 It was Kiprop’s second marathon victory to date and the second-fastest time of his career after the 2:09:32 PB he set on his debut at the distance when winning in Mumbai in 2013. The men’s contest was a typical race of attrition. 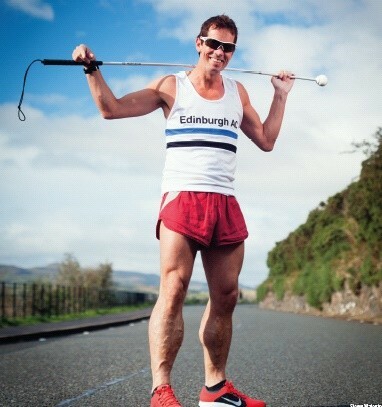 A large pack was reduced to seven runners by the half way point (1:04:59). 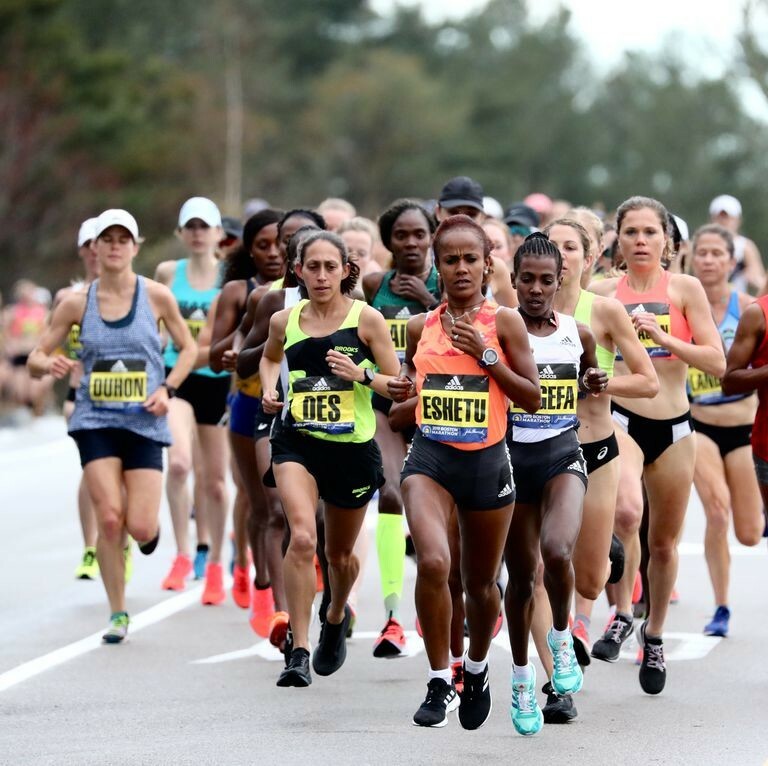 By 30km, the lead pack was reduced to four runners and five kilometres later the race turned into a duel between Kiprop and Deresa Geleta. Kiprop outkicked Geleta at the end to win by three seconds. 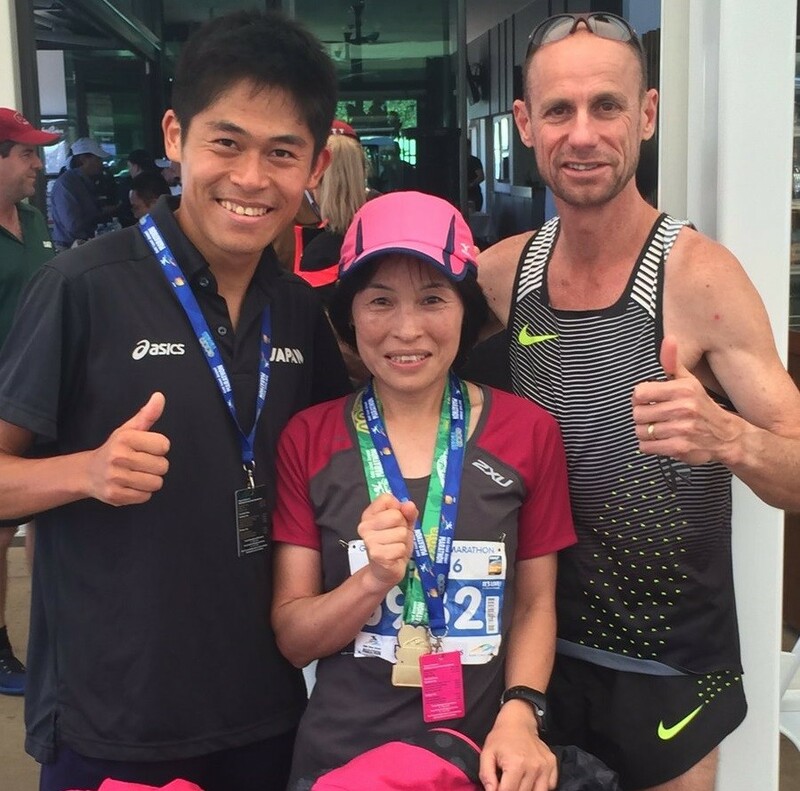 Japan’s Naoya Sakuta finished third in a PB of 2:11:21. Kering, the fastest runner in the field, was fourth in 2:12:45. The women’s race was decided in the final kilometre. 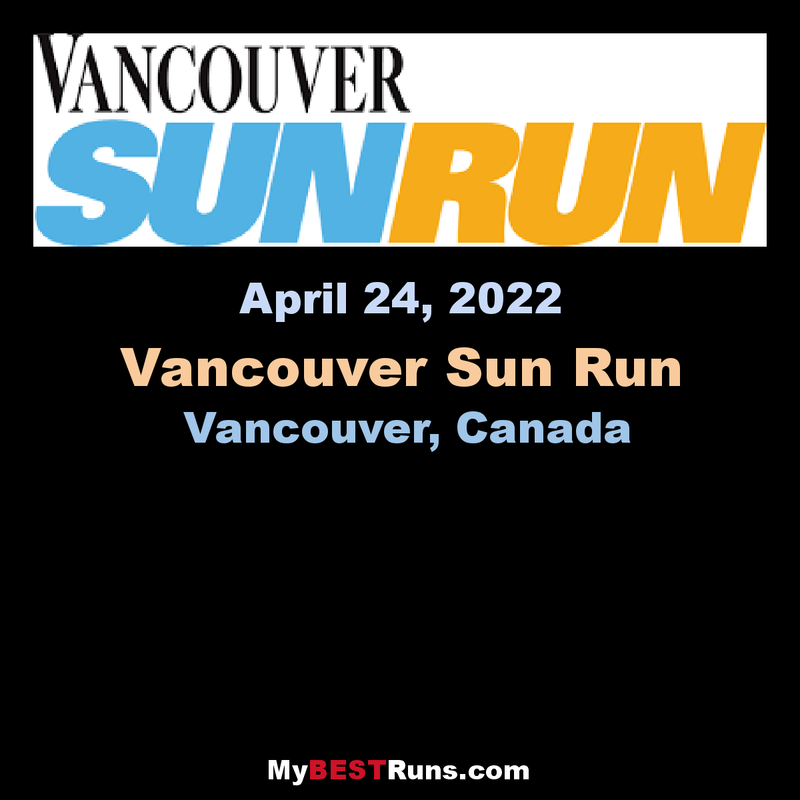 A lead pack of seven runners were together at the half way point but just three remained – Valentine Kipketer, Kebene Chala and Meskerem Hunde at 25 kilometres. 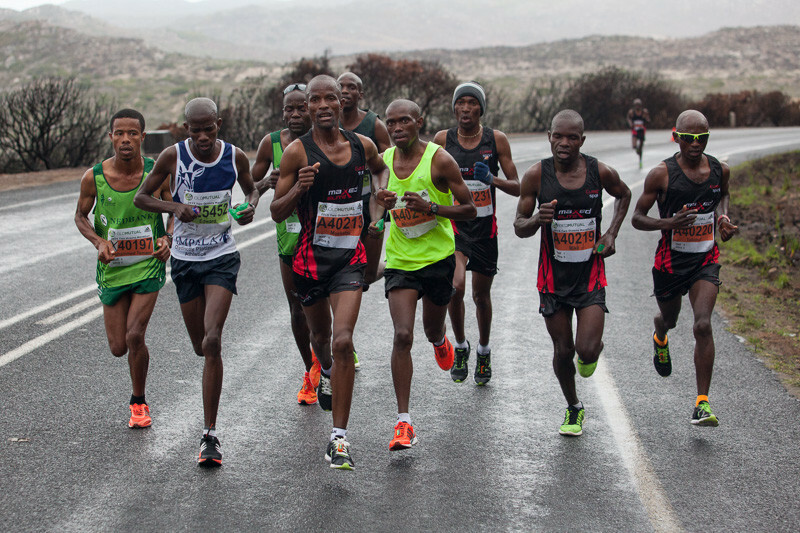 They stayed together past 35 kilometres before Kipketer, the fastest in the field, dropped behind. 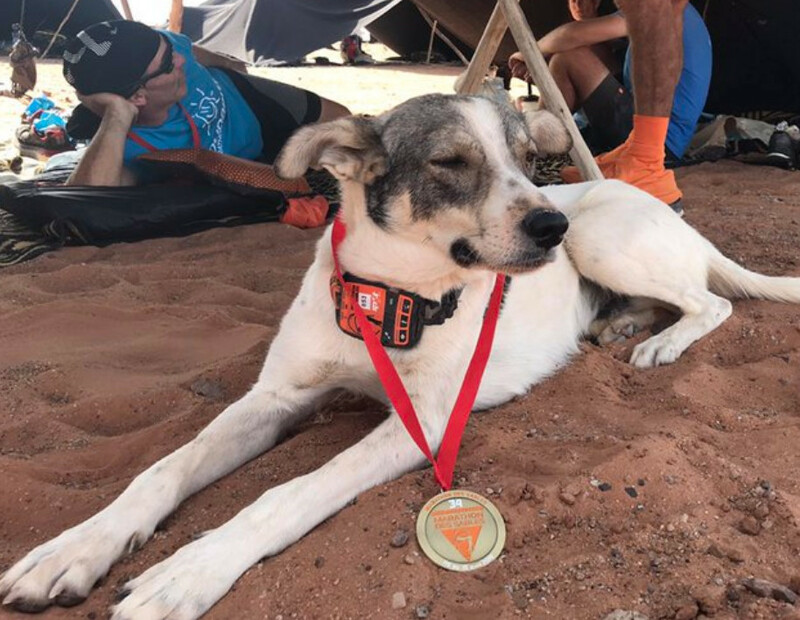 Hunde left Chala in her wake in the final two kilometres to win by 14 seconds in 2:33:32, the second fastest marathon of her career. 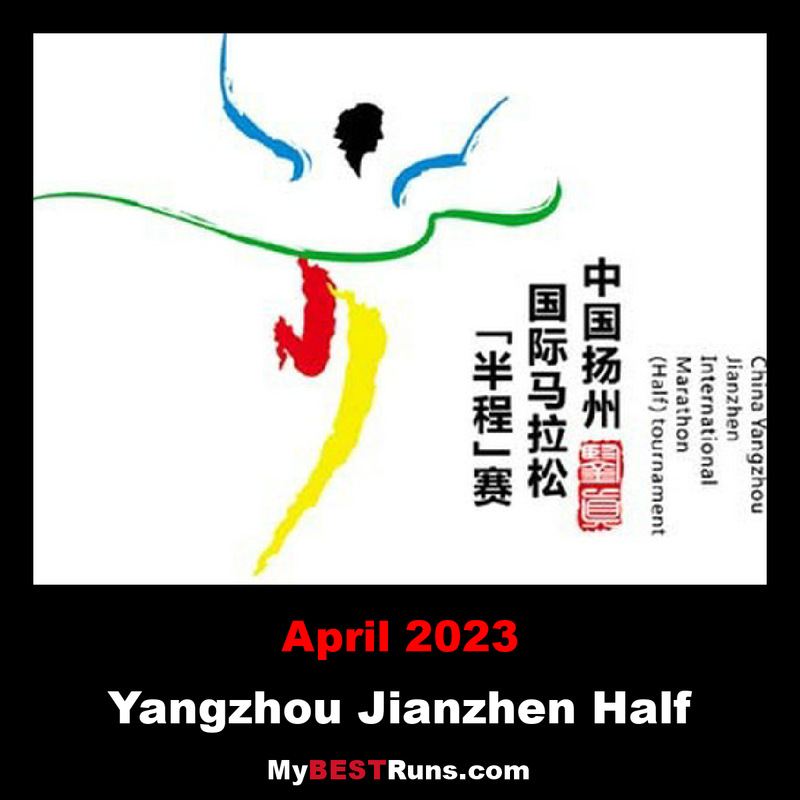 Kenya’s Perine Nengampi enjoyed a convincing victory in the women’s race of the Yangzhou Jianzhen International Half Marathon while Berehanu Tsegu of Ethiopia clinched the men’s title with a powerful home stretch run at the IAAF Gold Label road race on Sunday (21). 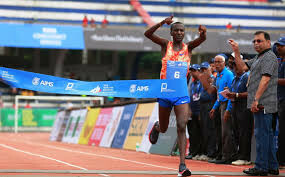 The 29-year-old Nengampi upset a deep field that contained several sub-1:08 runners and took the victory with a career best time of 1:08:04, the second fastest winning time ever in Yangzhou after the course record of 1:07:21 set by fellow Kenyan and world champion Peres Jepchirchir in 2016. Nengampi stayed in a leading group of eight runners in the early stages and pulled clear for the sole lead near the halfway mark. She kept widening the gap and never looked back, crossing the line with a margin of nearly one-and-a-half minutes. 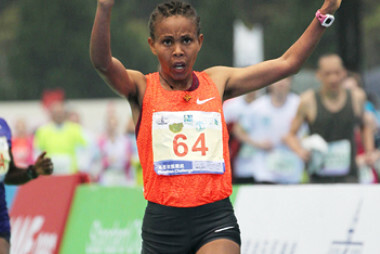 Birhan Mhretu of Ethiopia clocked a PB of 1:09:33 to finish second, bettering her previous career best by 53 seconds. 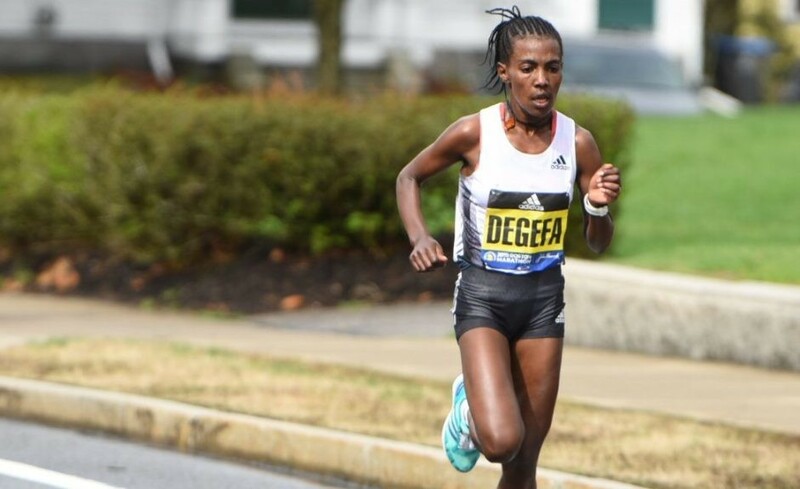 Bekelech Gudeta of Ethiopia, the eighth-place finisher from the 2018 World Half Marathon Championships, took the third place in 1:09:45. Nineteen-year-old Tsegu, in his first year as a senior athlete, outraced Kenya’s Moses Kibet in the last 500 metres to break the tape in 59:56 in what was only his second international half marathon to date. Last month Tsegu stormed to 59:41 on his half marathon debut to finish second in Lisbon and his winning time in the scenic Chinese city was only four seconds shy of the course record set by four-time champion Mosinet Geremew. 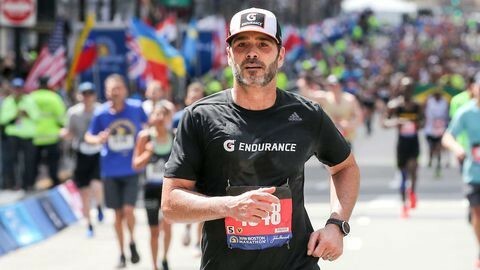 A crowded leading group of some 20 runners paced the race to five kilometres in 14:08 but only 10 were left when they hit the 10-kilometre water station in 28:21. At 15km in 43:01 there were just seven runners. Kenya’s John Lotiang, who improved his PB to 1:00:09 last month, launched his charge first after 17km. Tsegu and Kibet managed to keep up and the trio soon built a lead of 10 seconds from the chasers. Lotiang faded away after 19km. Tsegu waited for another kilometre before breaking clear to wrap up the first title of his career. 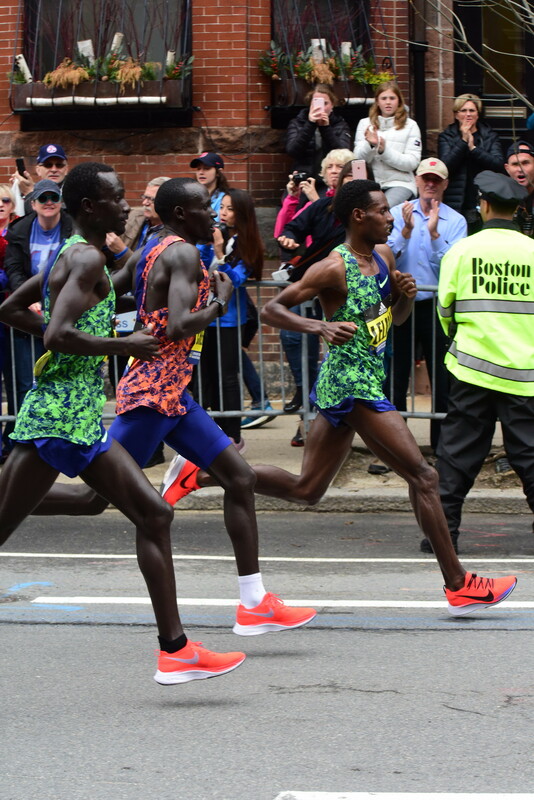 Kibet lagged two seconds behind Tsegu to finish second. Lotiang finished third in 1:00:22. 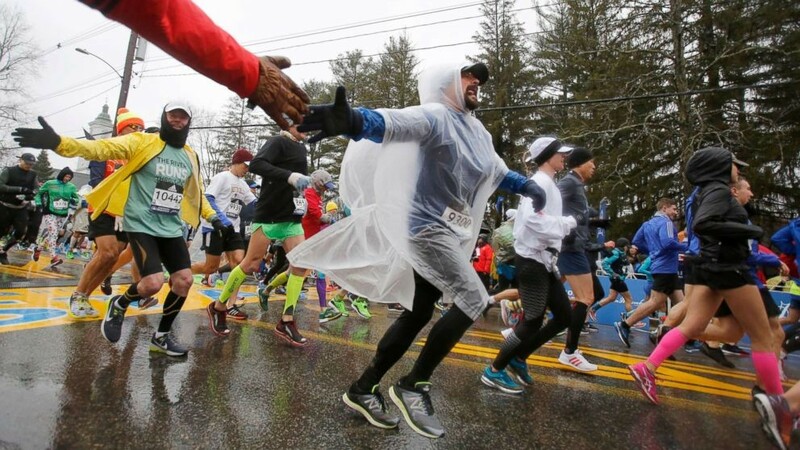 Zachary Boyd-Helm, a former distance runner at West Linn High and then Southern Oregon University, said he just wanted to see what a marathon felt like. 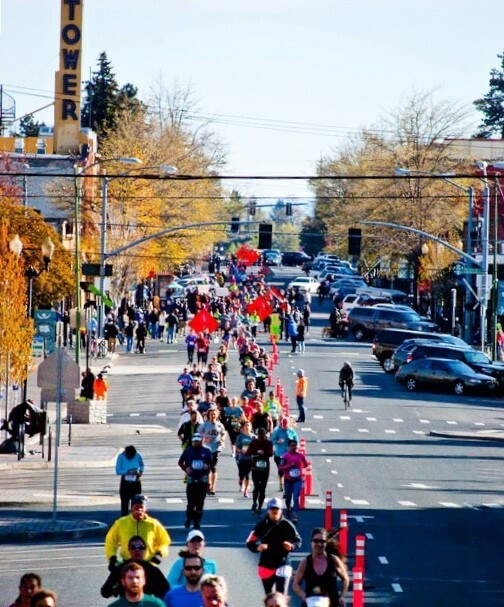 The 26-year-old did much more, winning the marathon portion of the Bend Marathon and Half Saturday morning in 2:42:58. 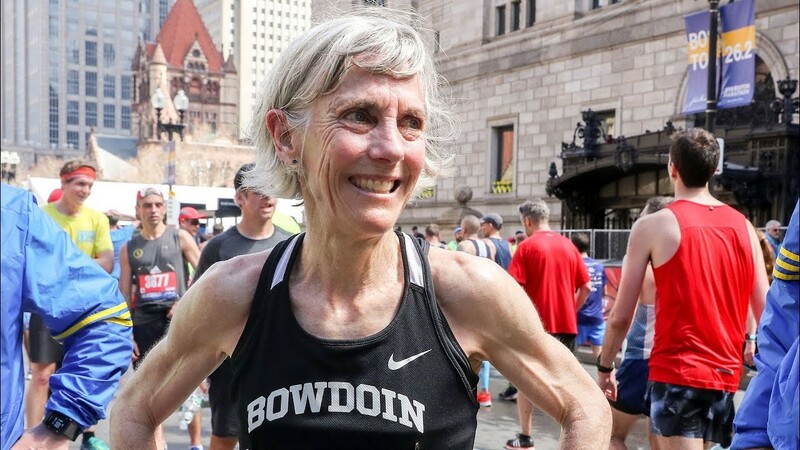 “I completely exceeded my goal, which I’m super excited about,” said Boyd-Helm, who wanted to break 2:45 but would have settled for anything under three hours. 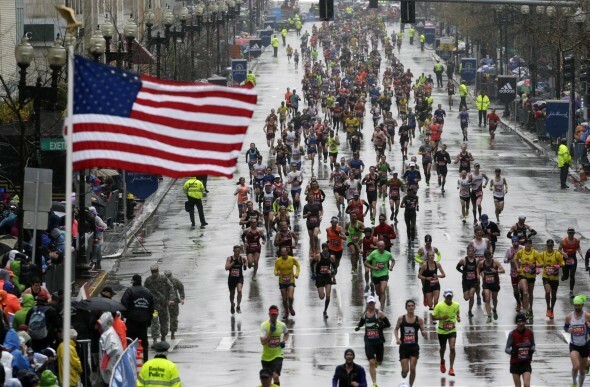 A steady rain fell as marathoners started the race at 7 a.m. behind the Les Schwab Amphitheater stage, which also served as the finish line for the event’s four races. But the rain stopped by the time Boyd-Helm, now a graduate student at SOU, crossed the finish line. William Miles, of Happy Valley, finished second in the marathon in 2:46:15, and Jordan Tait, of Kuna, Idaho, placed third in 2:51.59. Bend’s Lindsey Hagen, 35, was the top female, finishing fourth overall in 2:57.33. 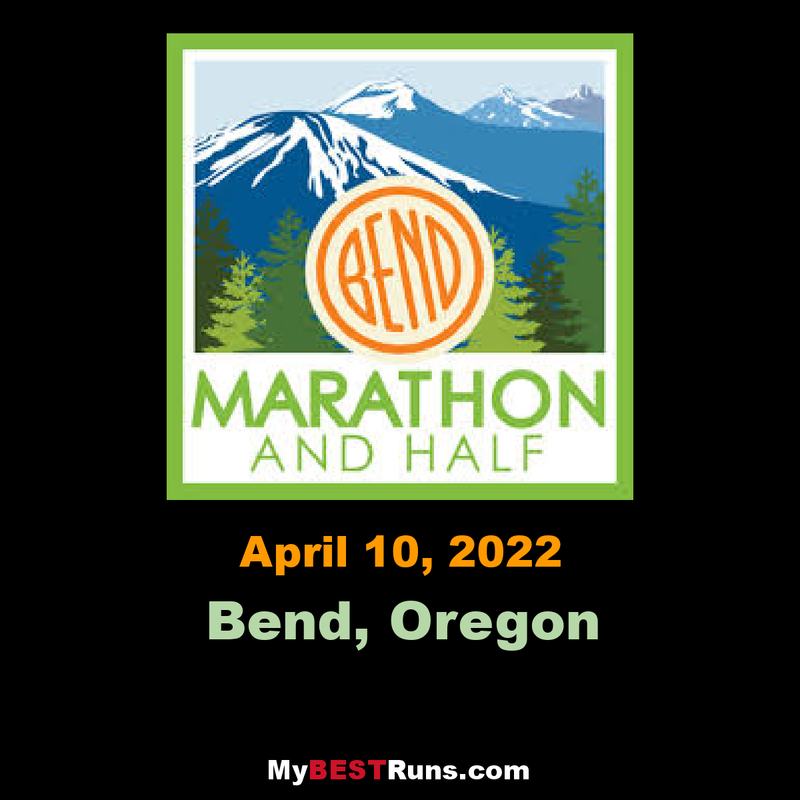 Originally from Santa Cruz, California, Hagen said she has completed about 30 marathons in her life, but it was her first time running the Bend Marathon after moving to Central Oregon more than three years ago to work at Rebound Physical Therapy, a sponsor of the marathon. Hagen, an ultra runner, said she used the marathon to train for next month’s Smith Rock 50K. 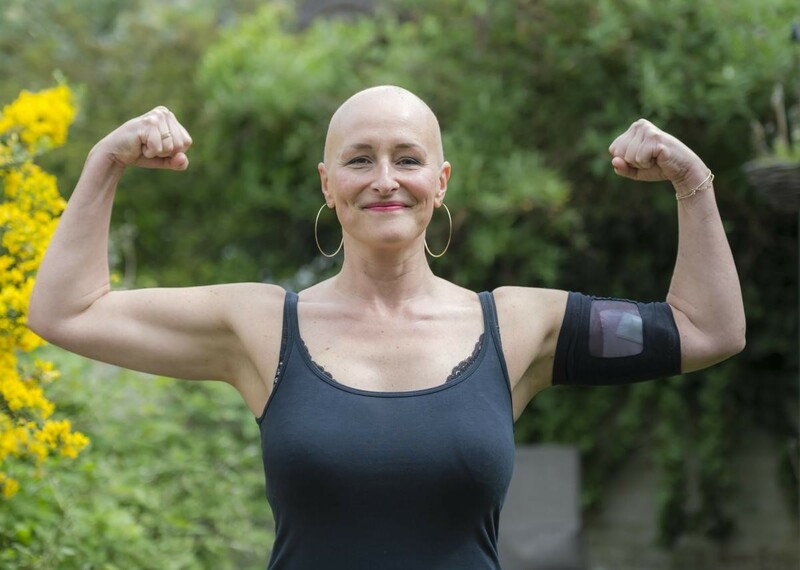 She also plans to do 100K and 100-mile races this summer. “It was probably slower than I could do normally because of the hills but I felt good and raced hard,” Hagen said of the Bend Marathon. 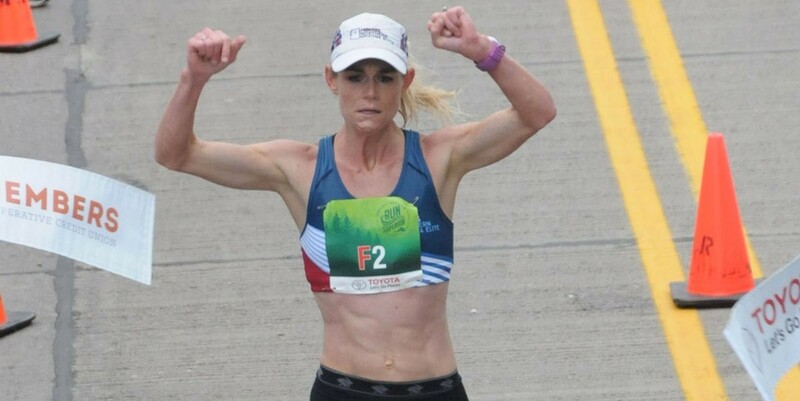 Alaini Ritsch, of Fort Collins, Colorado, was the second female to finish the marathon, placing sixth overall in 3:02.30. 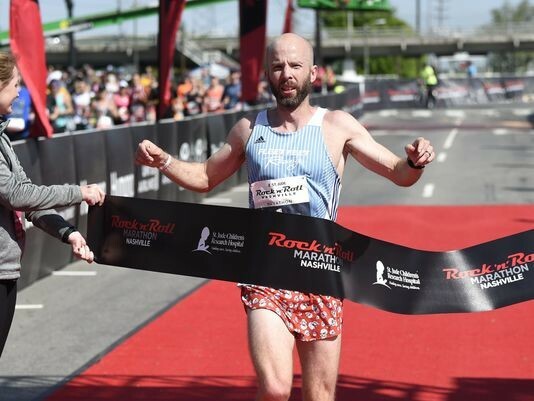 Ryan Lok, of Oakland, California, won the half marathon in 1:12.09. Brett Holts (Lake Oswego) and Adrian Shipley (Forest Grove) took second and third in 1:14.03 and 1:18.20, respectively. The top female in the half marathon was Forest Grove’s Laura Lewis, who finished 18th overall in 1:29.49. Portland’s David Hamilton won the 10K in 35.58. Stephen Bauer, of San Francisco, placed second in 38.03. Portland’s Angharad Porteous, the top female, finished third overall in 39:18. Bend’s Katie Grissen was the second female to cross the finish line, placing fourth overall in 40:15. Hunter Hurl, a 10-year-old from McMinnville, finished fifth in 40:18. Bend runners dominated the 5K. Jason Colquhoun and Ron Deems, both of Bend, placed first and second in 18:26 and 19:29, respectively. Bend 10-year-old Lauren Willard finished third in 19:42. 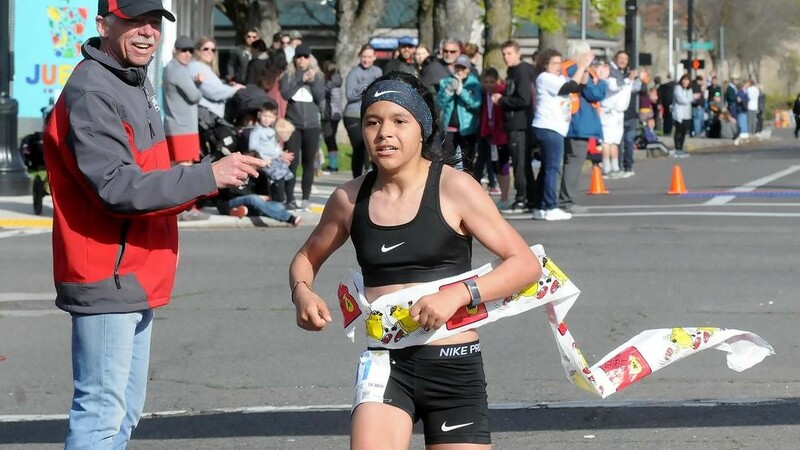 She was followed by 12-year-old Kyle Kirsch in 20:20 and 10-year-old Skye Knox in 20:39. 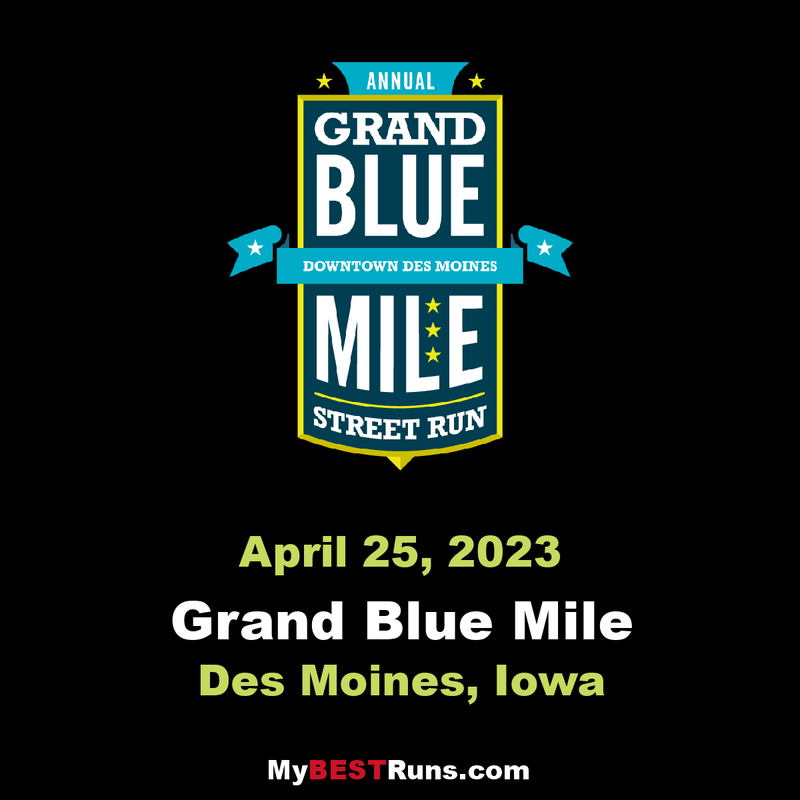 More than 2,400 runners and walkers participated in the fifth annual event, which also included a kids’ run. Aidan Puffer is a 14-year-old high school freshman at Manchester. 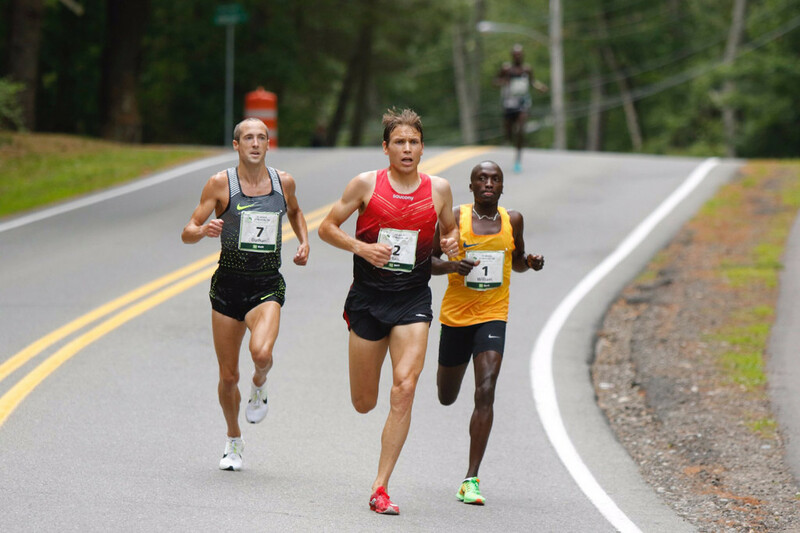 When he crossed the finish line at the Bob Michalski 5000m Championship at the Connecticut Distance Festival on Thursday he had a relaxed demeanor. Placing third behind Xavier junior Robbie Cozean and Hall senior Trey Cormier, Puffer remained calm and stoic after his finish. 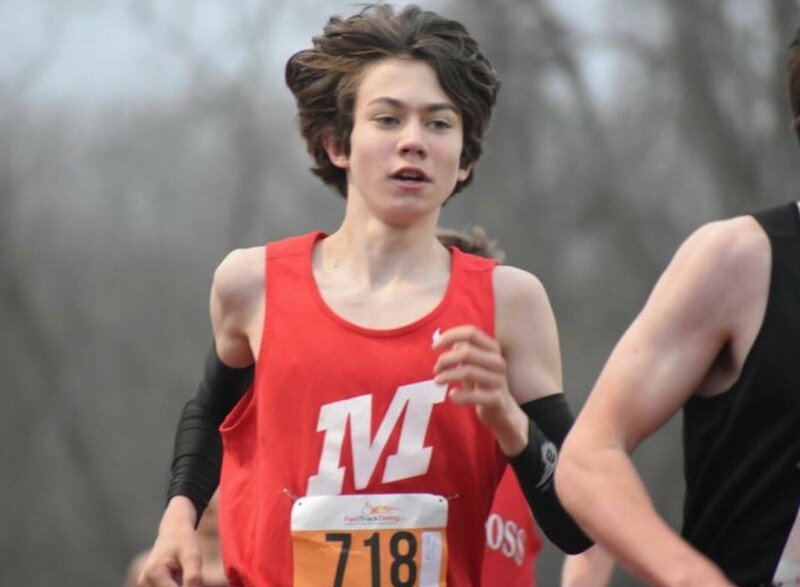 For those watching the bushy-haired 14-year-old, it appeared to be just another finisher. Except it wasn’t. Puffer had just broken a world record. With his time of 14:47.66, Puffer broke Hans Segerfelt’s mark of 15:10.2, set in 1975, to claim the world’s fastest time in the 5K by a 14-year-old. Mission accomplished for Puffer, who trailed Cozean and Cormier for the entirety of the 5,000-meter race. 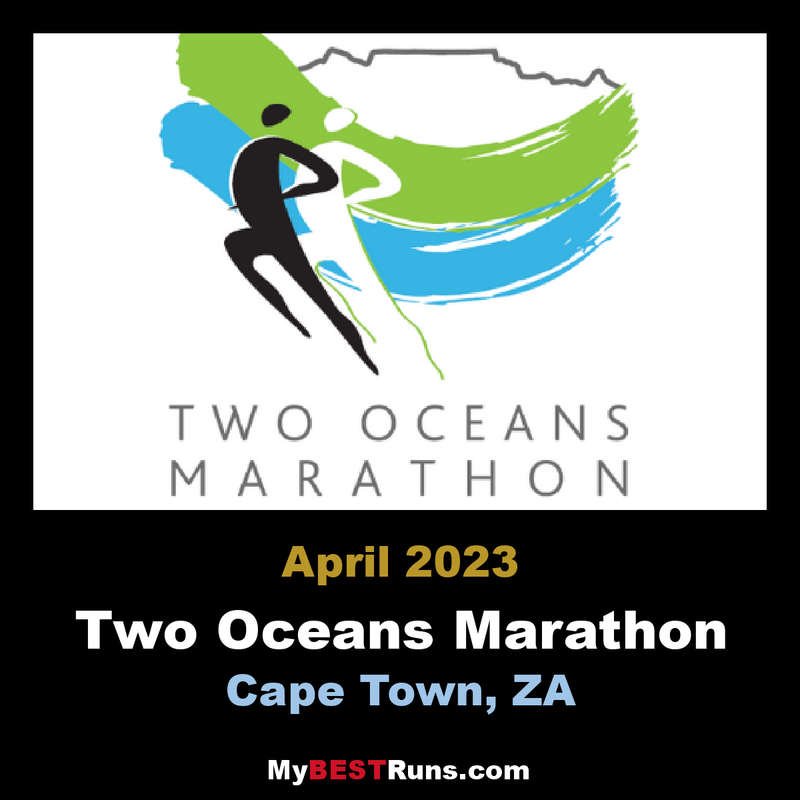 Cozean (14:40.40) and Cormier (14:42.90) exchanged leads for much of the race, while Puffer trailed patiently, checking his watch and adjusting his pace when needed to assure he’d meet his goal. 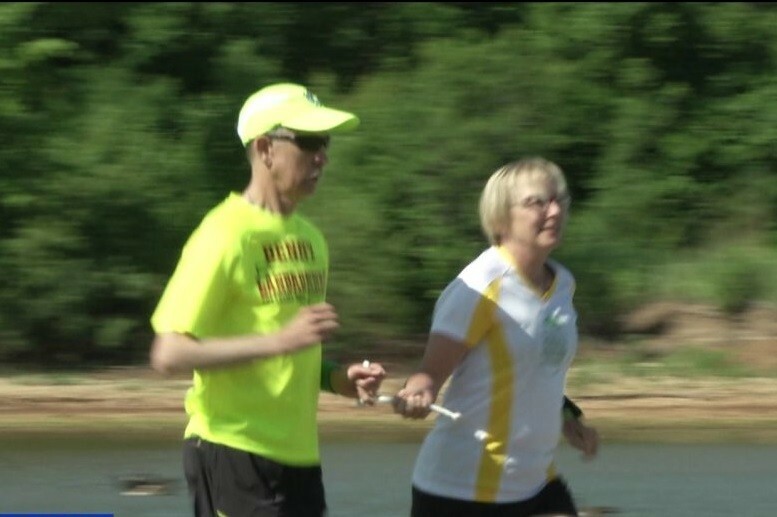 Puffer, trains about 40 miles per week and works with his own running coach, has previously set world records in the 5K for the 12- and 13-year-old age groups. “I’ve never worked with an athlete with as much natural ability as Aidan Puffer,” Manchester coach Mike Bendzinski said. 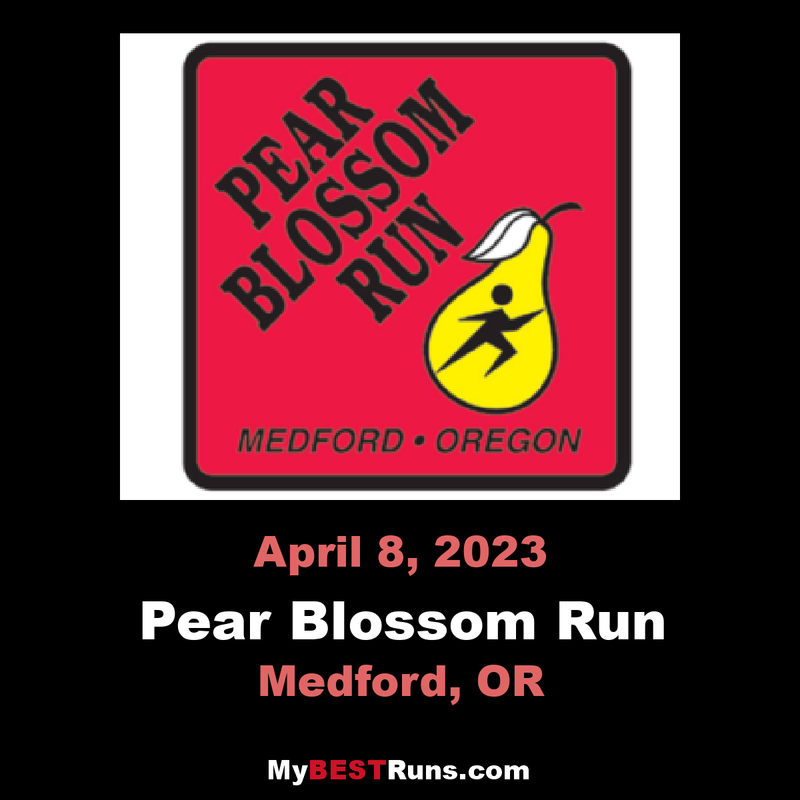 It all started a few years ago when Aidan’s father, Kyle Puffer decided to do a "Couch to 5K" training program to run a 5K road race. His son Aidan was 10. He wanted to do it, too. "I remember calling the pediatrician and asking, 'Is this safe for him to do?'" Aidan's mother, Martha, said. 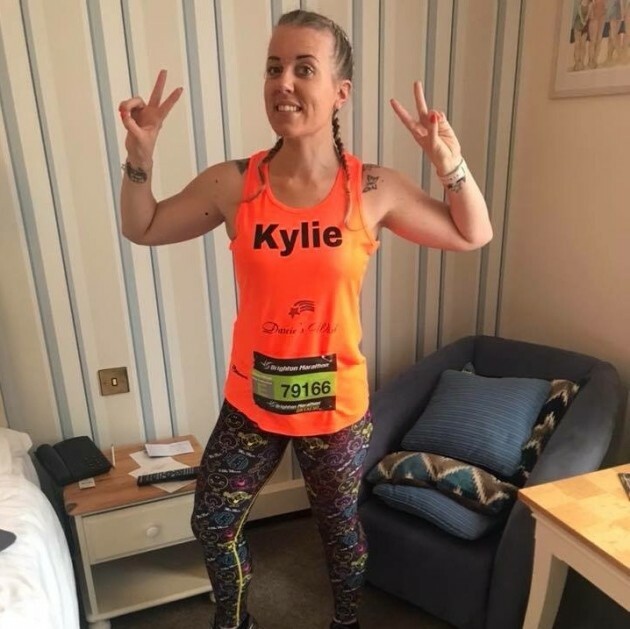 "We knew some other parents who were runners and he beat them and they were like, 'Wow,'" Kyle said. "We said, 'Do you want to do another one?' We found other 5Ks and he ran them and he just kept getting faster. He didn't run other than just racing." That sounds like a typical kid interested in running. But Aidan wasn't a typical kid. At age 11, he set his first world record, the 11-year-old 5,000-meter record on the track. Then he broke the 12-year-old boys 5K record on the road. When he was 13, he broke another one, the 5K road world record for 13-year-olds. 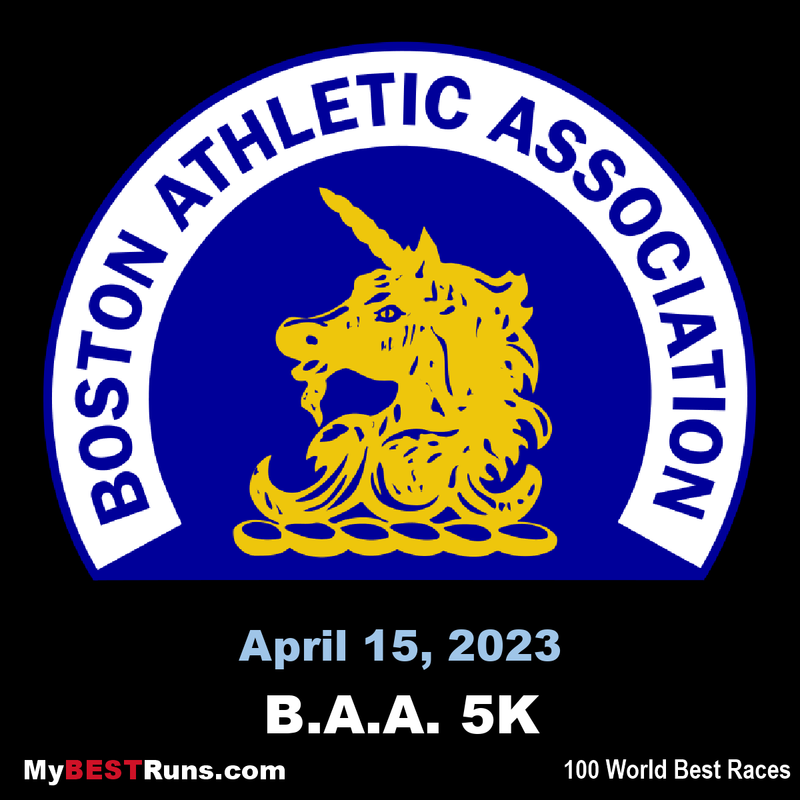 Then at the BAA 5K, two days before the Boston Marathon, he found himself being called up to the podium where Hagos Gebrhiwet, the Olympic 5,000-meter bronze medalist from Ethiopia, had just accepted the silver loving cup trophy for winning the race. 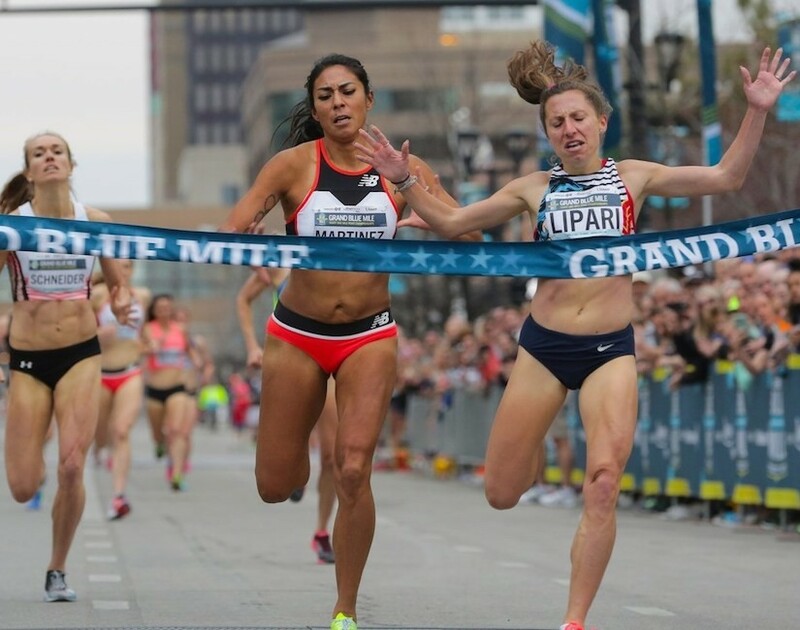 Puffer had once again broken a world record by finishing the 3.1-mile race in 15:47. 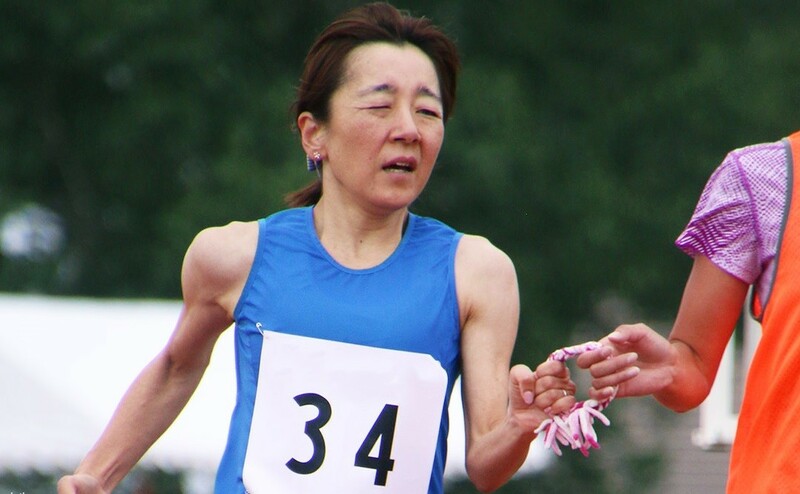 A world record for 13-year-olds and now 14:47 5000m on the track, a world record for age 14. 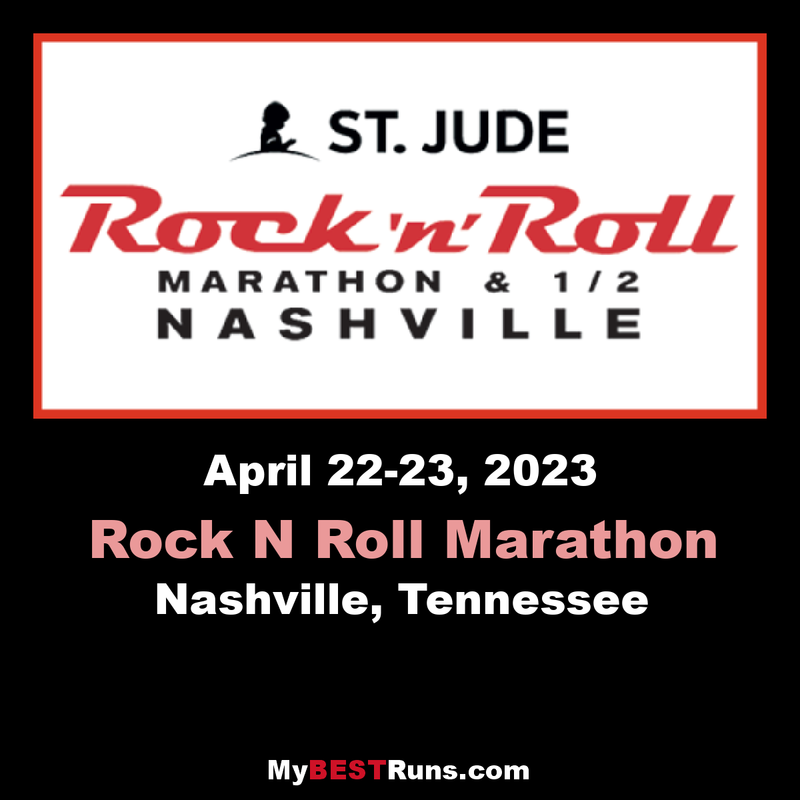 A total of $112,000US is the prize money to the top eight finishers in the men and women’s elite race with the winner in each gender category going home with $20,000 while $13,000 and $9,000 respectively will go to the second and third placed finishers. 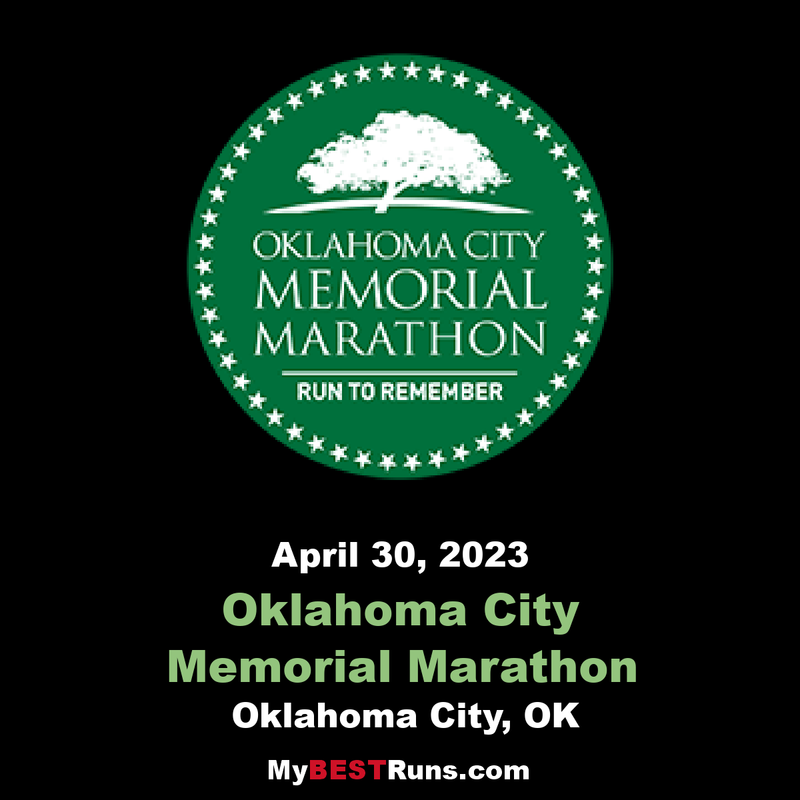 The prizes for 4th-8th placed finishers in each gender category are $6,500, $3,000, $2,000, $1,500, and $1,000 respectively. Organisers also announced an unchanged prize money outlay for Nigerian runners at the race. 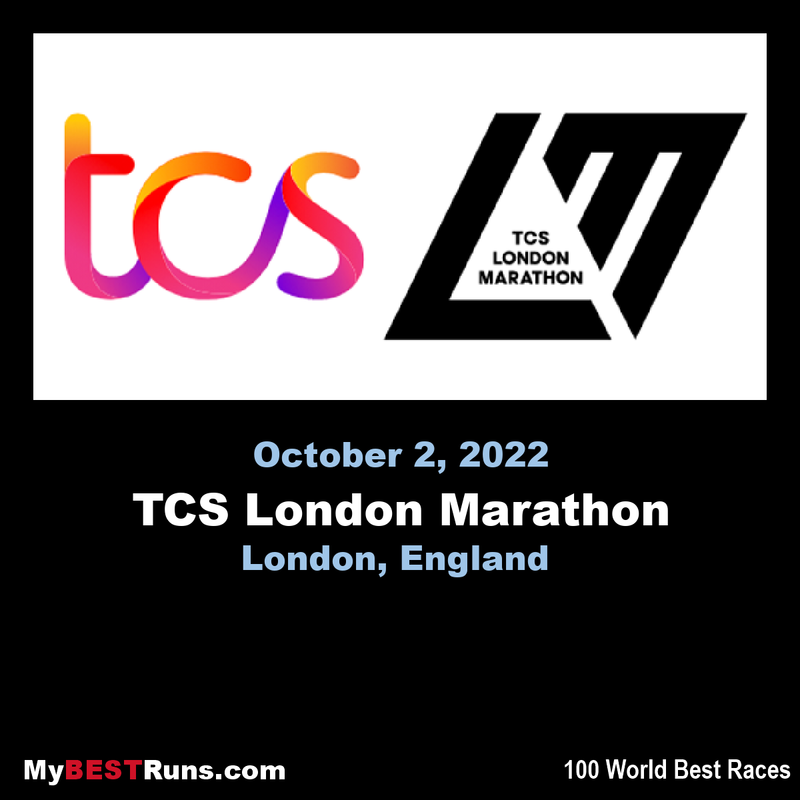 The first placed finishers in both the men and women race will go home with N1,000,000 ($2777US) while the second to the fifth placed finishers will get N600,000,N400,000,N250,000 and N150,000 respectively. 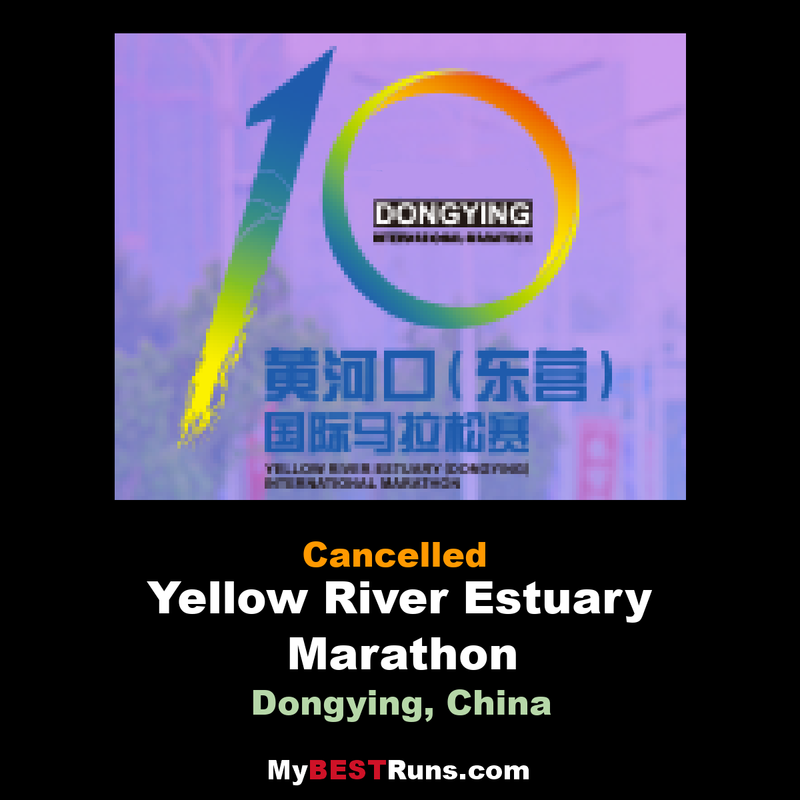 Meanwhile spokesman for the race, Dare Esan said yesterday that payment of prize money and bonuses is dependent upon athletes clearing the usual anti-doping procedures. ”Athletes running for the prize money on offer must also achieve a level of performance before they can redeem their respective prizes. 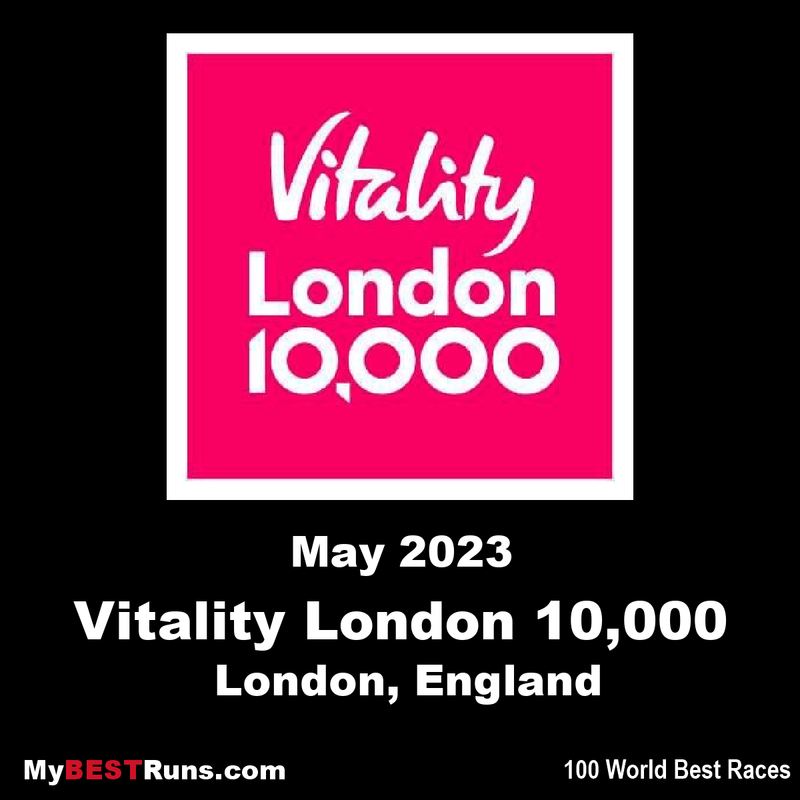 ”For example, to qualify for the $20,000 top prize for the elite runners, the athletes must run 28:35.00 minutes or better for the men and 32:41.00 minutes for the women. For the Nigerian category, the winners must run 29:04.00 minutes or better for men and 34:05.01 minutes for the women’s race,’ he added. 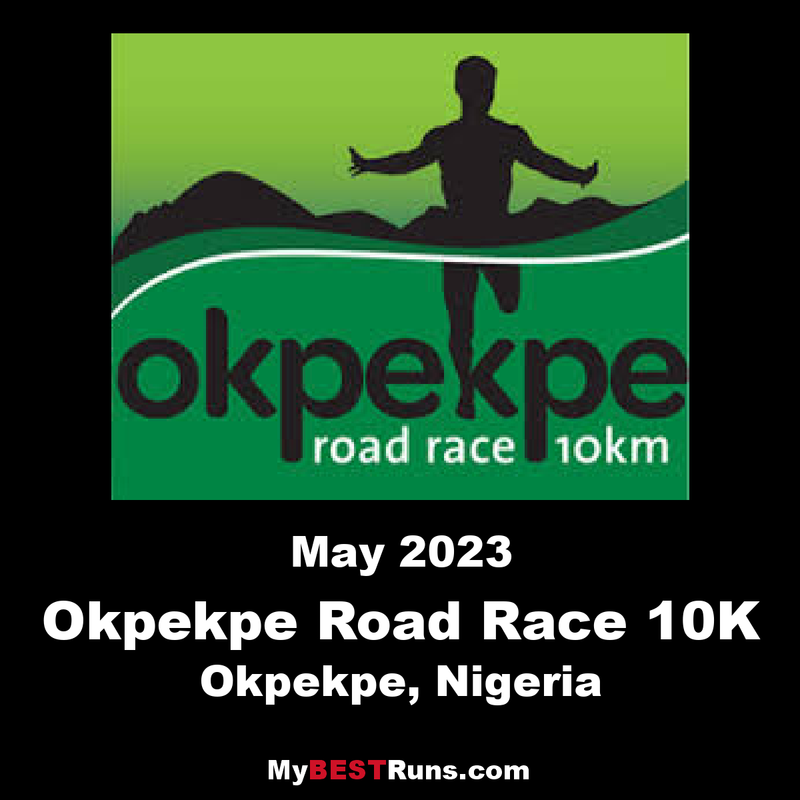 The Okpekpe international 10km road race is the first road race in Nigeria and in West Africa to be granted a label status by the IAAF and the only one IAAF silver label road race in Africa this year. 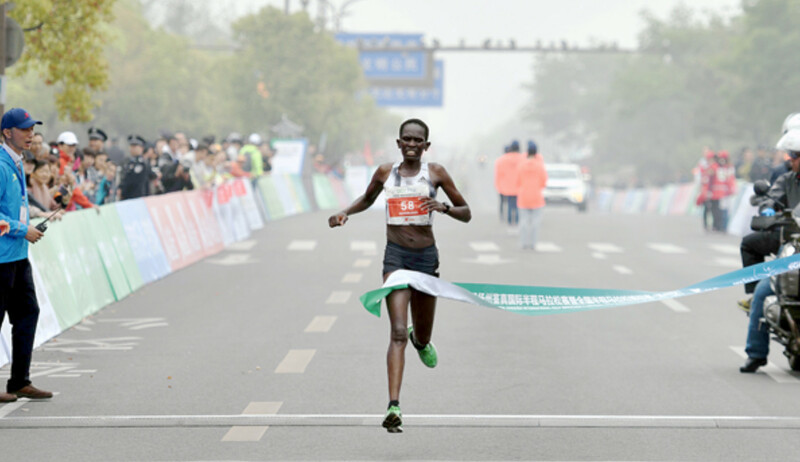 Kenya’s Felix Kimutai and Afera Godfay of Ethiopia raced to course records at the Yellow River Estuary International Marathon, an IAAF Gold Label road race, in the Chinese city of Dongying on Saturday April 20. Running his first race in China, the 30-year-old Kimutai pulled clear with six kilometers to go to secure the victory in 2:09:23, beating the course record of 2:09:27 set by compatriot Dickson Kipsang Tuwei in 2016. 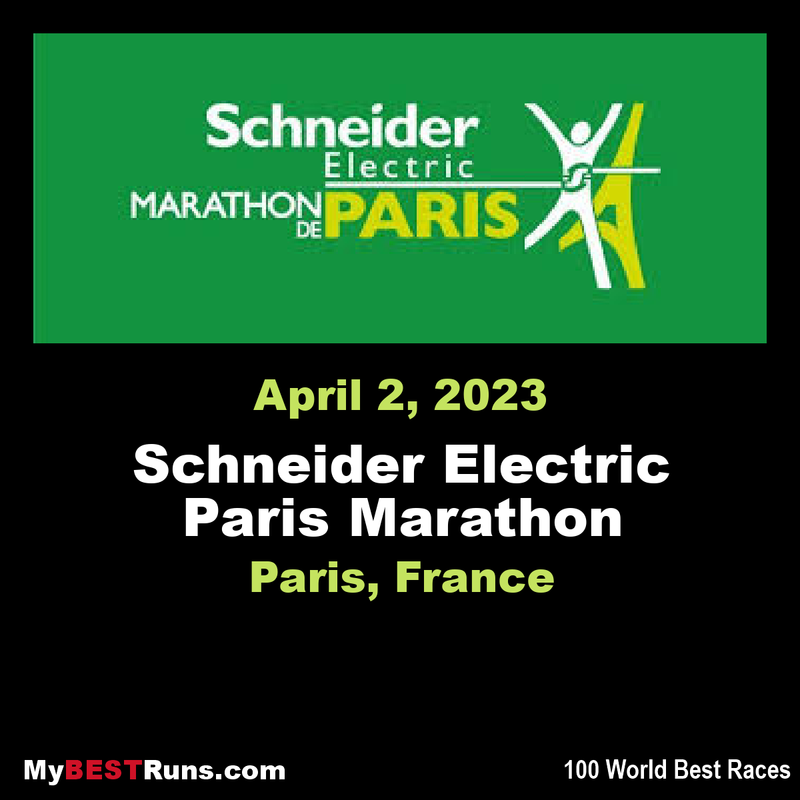 His performance also improved his previous best of 2:09:57 set during his victory in Istanbul last year. 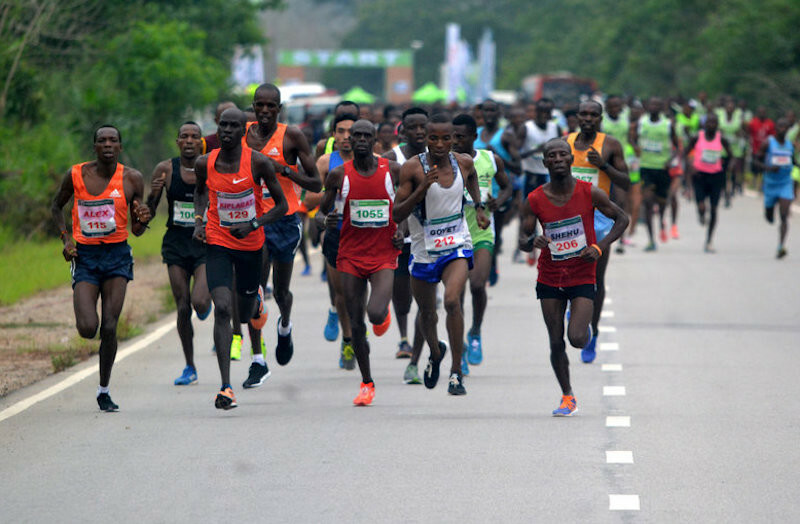 A lead group of 15 covered the opening 10km in 30:49, a pack reduced to 11 at 15km and further cut to 11 runners at 25km. 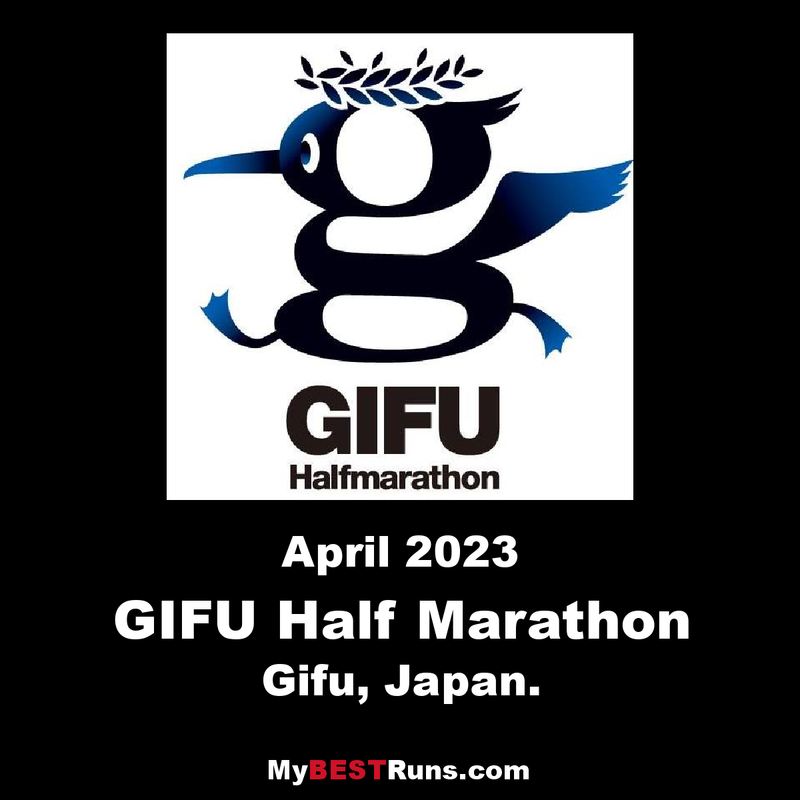 Six kilometers later, Morocco’s Hicham Laqouahi, who bettered his PB to 2:08:35 with his victory at the Oita Mainichi Marathon in Beppu two months ago, made the first move. Although he was soon caught by the chase pack, the sudden change of pace forced four men to drop back. When they reached the 35km water tables in 1:47:56, only four remained in contention: Laqouahi, Kimutai, Ethiopia’s Fikadu Kebede and Dominic Ruto of Kenya. Kimutai waited for another 1500m before launching his decisive move for the lead. 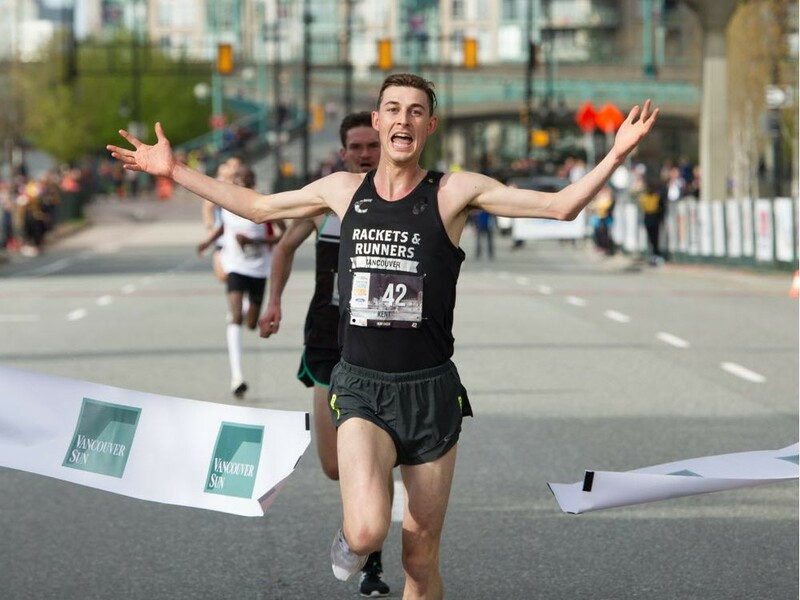 He was 10 seconds ahead of course record pace at 40km (2:02:50) and continued to push until breaking the tape in style with his finger pointing high towards the sky. Kebede, a past winner of the Rabat Marathon with a 2:08:27 PB, finished second 15 seconds behind the winner in 2:09:38, while the 28-year-old Ruto finished third in 2:09:43, 35 second shy of his lifetime best set in Rome two years ago. The top two finishers in the women’s race both beat the course record of 2:24:45 set by two-time winner Letebrhan Haylay last year. 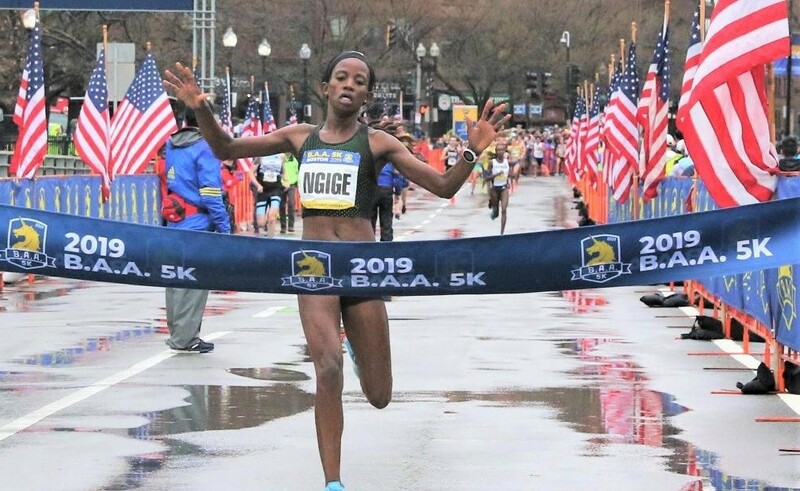 The 27-year-old Godfay outraced race favourite Waganesh Mekasha to celebrate her first marathon title since debuting over the classic distance in 2015. Godfay also bettered her career best of 2:23:45 from the fourth finish in Shanghai last year with a winning mark of 2:22:41. A pack of seven paced the race in the early stages, passing 10km in 34:05 and 15km in 51:01. 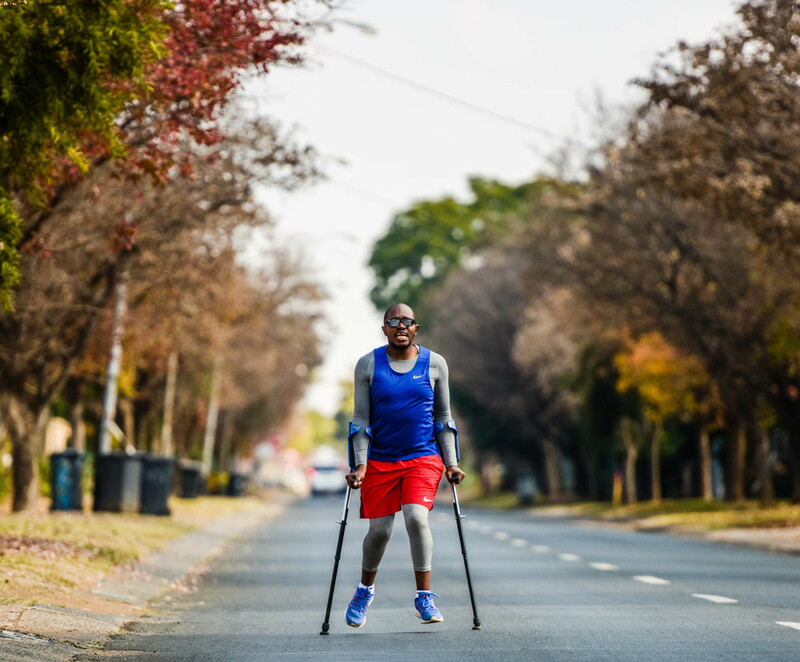 The 27-year-old Mekasha, who owns a fast PB of 2:22:45 set at the Dubai Marathon in January, tried to pull away after the half way point with only Godfay managing to keep up. 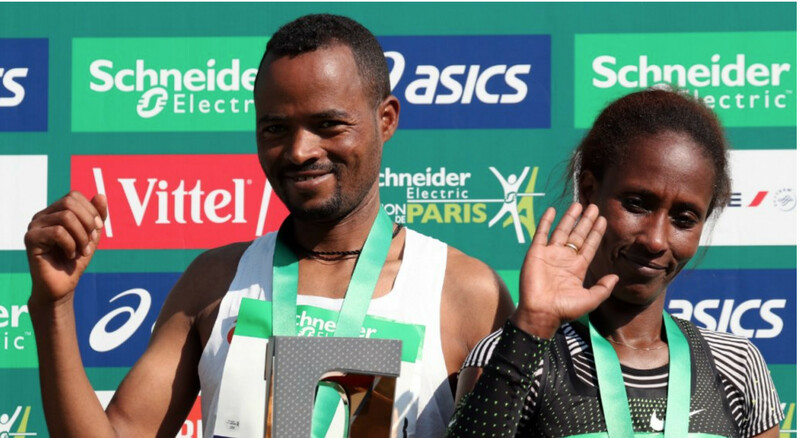 The Ethiopian duo ran neck-and-neck for some ten kilometres before Mekasha had to hand over the lead. The in-form Godfay left no chance to her rivals. She kept pushing on, extending her advantage until wrapping up the convincing victory. 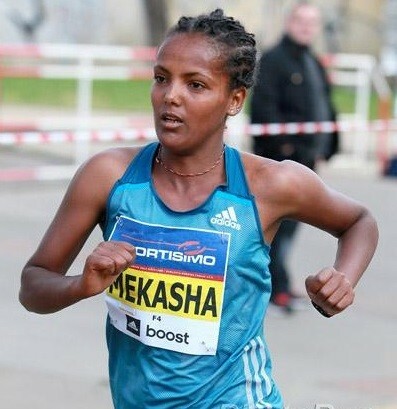 Mekasha clocked 2:23:19 to finish second in the first race in which she didn’t improve on her PB since her victory at the Singapore Marathon in 2014. 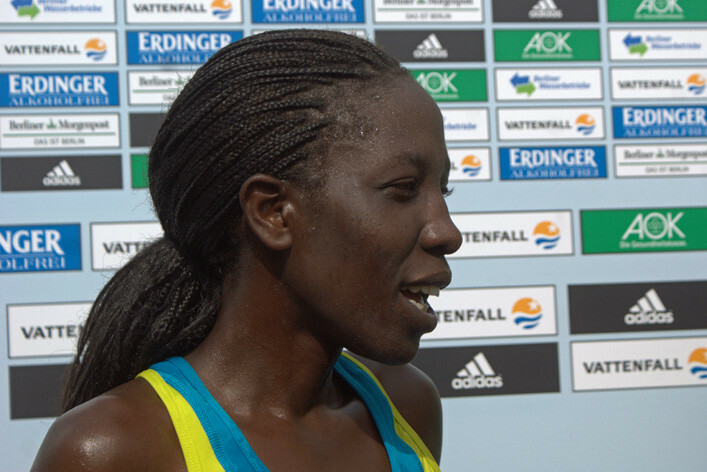 Kenya’s Truphena Chepchirchir was a distant third clocking 2:27:52, improving her PB by 19 seconds. 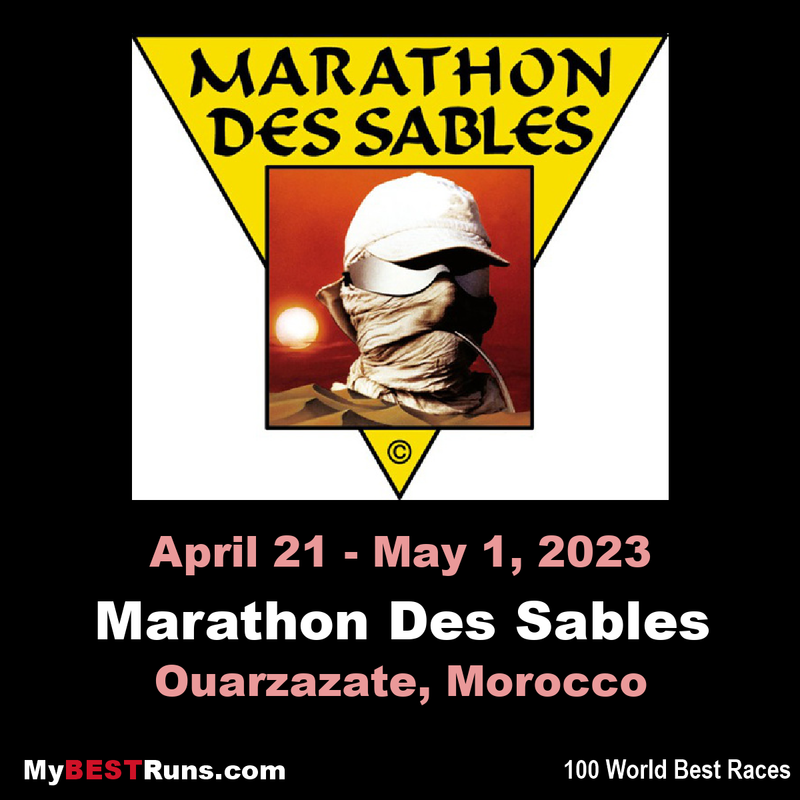 The 13th edition of the race, which was usually held in May, was staged under cool and breezy conditions with the temperature ranging from 13-19C degrees and the humidity remaining around 50 percent. 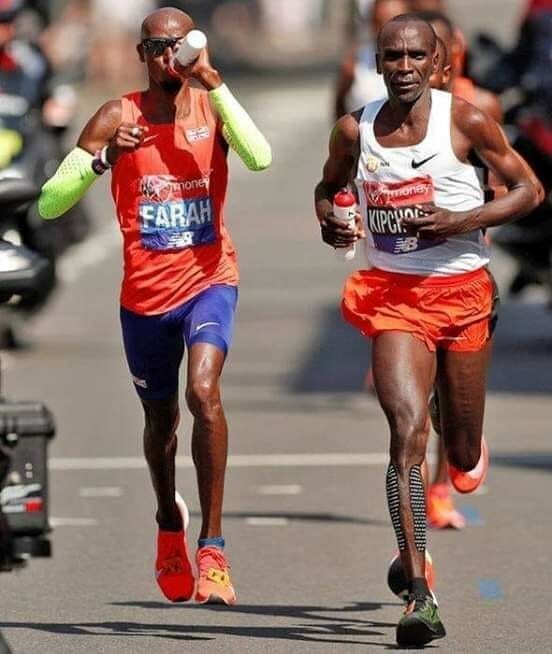 Newly crowned Boston Marathon champion Lawrence Cherono has attributed his jaw dropping victory to the London Marathon heartache (Top photo). 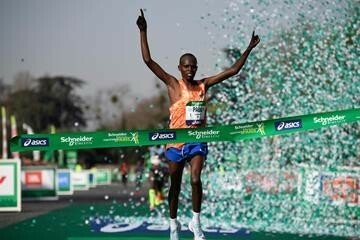 Cherono was in imperious form on Monday clocking 2:07:57 to win the title but the most intriguing part of the race was him edging Ethiopia’s Lelisa Desisa by a second in a classical finish that ensued between the duo. 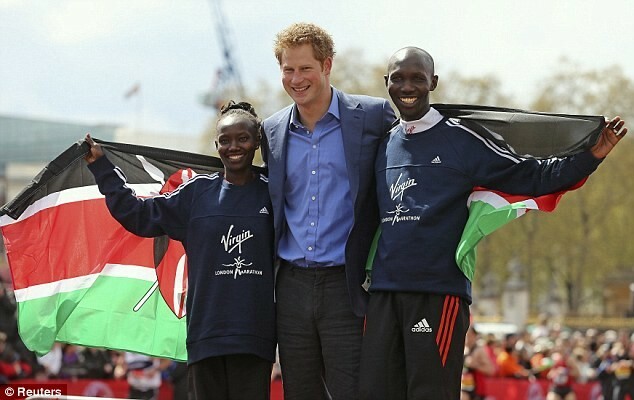 And speaking upon arrival at the Eldoret International Airport on Thursday where business came to a standstill as close family members, team mates and admirers welcomed him, Cherono was quick to point out that the disappointing performance at the 2018 London Marathon where he finished seventh inspired him. 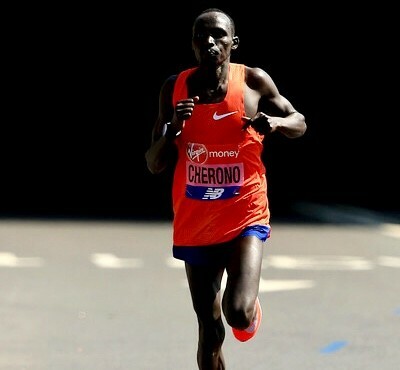 “My win in Boston was very important to me in that I wanted to make a mark after failing to win last year in a major race (London Marathon) and so I wanted to put that behind me,” said Cherono. 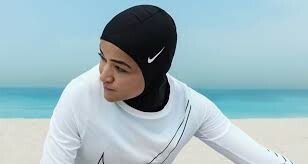 Although he had the fastest time on the start list, he did not wear the favourite’s tag. Upon arrival at the airport, he was received by close family members led by his wife Winnie Cherono amidst song and dance from the huge contingent of his training mates. 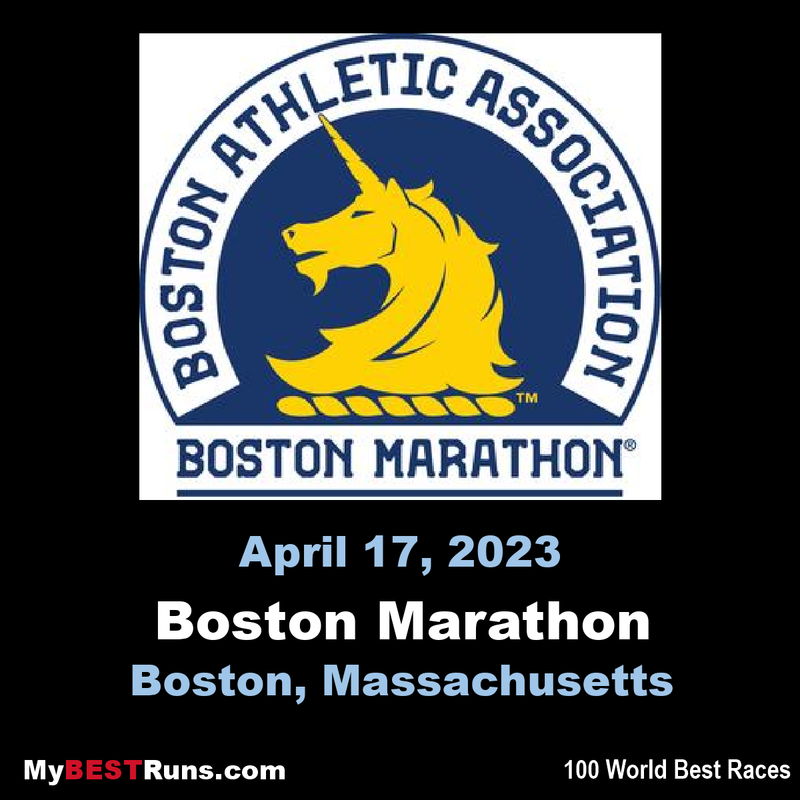 The 30-year-old was also quick to point out how the Boston race was tough considering the harsh weather conditions combined with the nature of the course of one the oldest races in the world. “The Boston course is very challenging because it is actually hilly thus you have to climb and descend and at 35km mark I could feel a lot of pain in my legs,” disclosed Cherono. The athlete who trains at the Kaptagat in Uasin Gishu County urged athletics stakeholders to organize many races in the country so as to create more exposure to athletes. 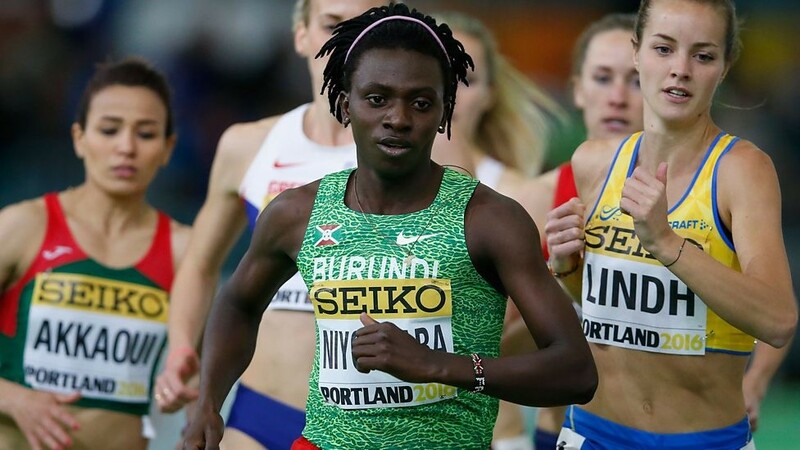 “We should have as many races so that our athletes can get a chance to gauge themselves before they go for international events,” added Cherono. Cherono’s wife Winnie (photo with daughter) was also full of praise for his exploits which she said has brought happiness to the family. “I congratulate Lawrence for making us proud,” says Winnie. 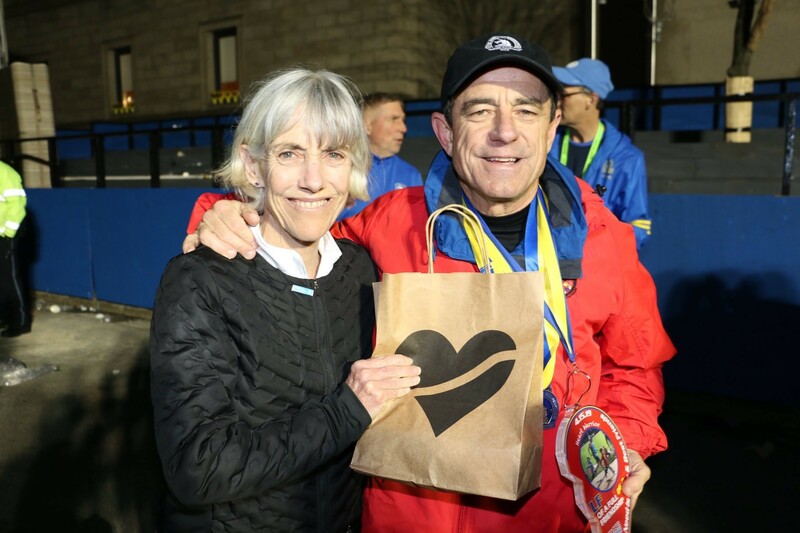 Dieter Sullivan, 64, took up running in his early 40s and has since run in many events around the world, including Berlin and Cyprus, and will aim to take on the New York Marathon next year. 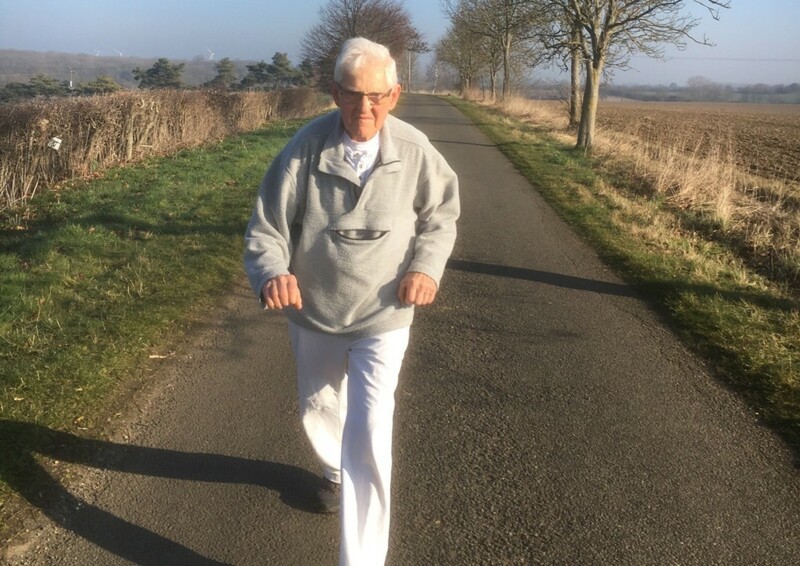 The Northamptonshire, England man is taking part in the ‘26 half marathons in 52 weeks’ challenge set up by Phoenix Running. 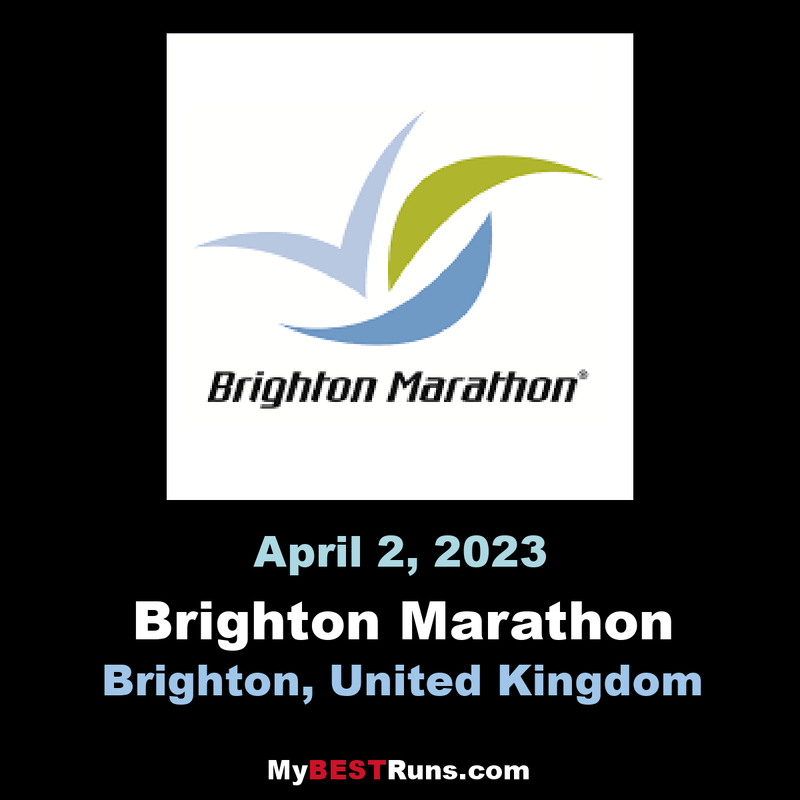 The Southampton race will be Dieters eleventh half marathon of the challenge. 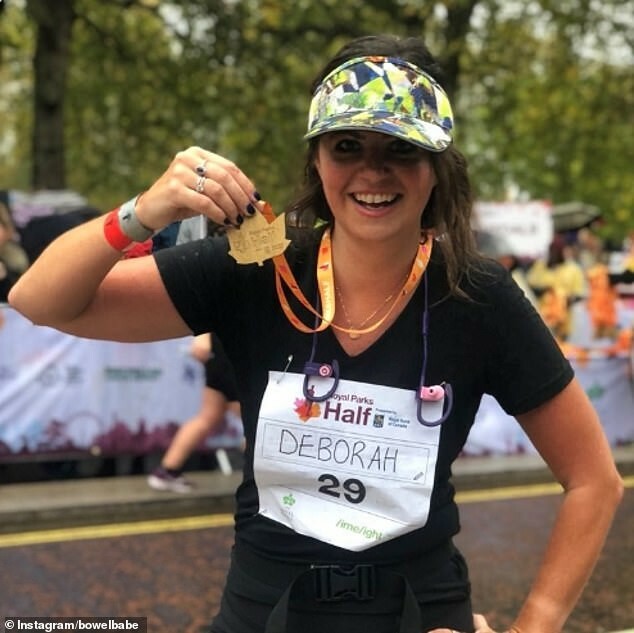 He said: “As someone who really enjoys running and has done for many years, the 26 half marathons in 52 weeks challenge was perfect for me. 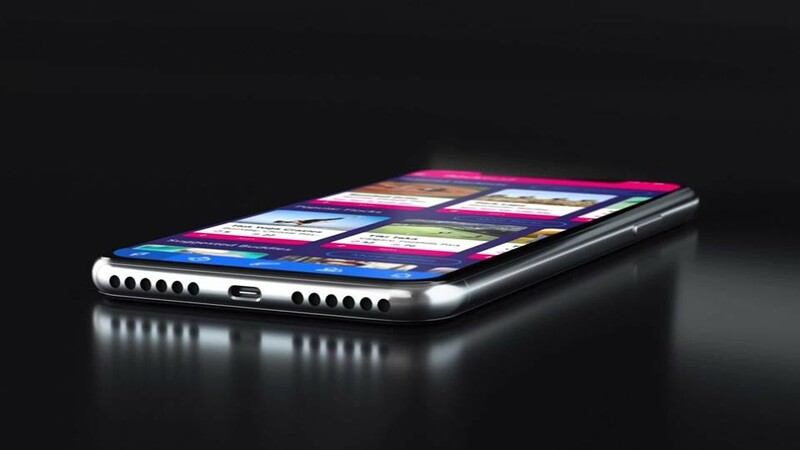 “I started the challenge on February 1. 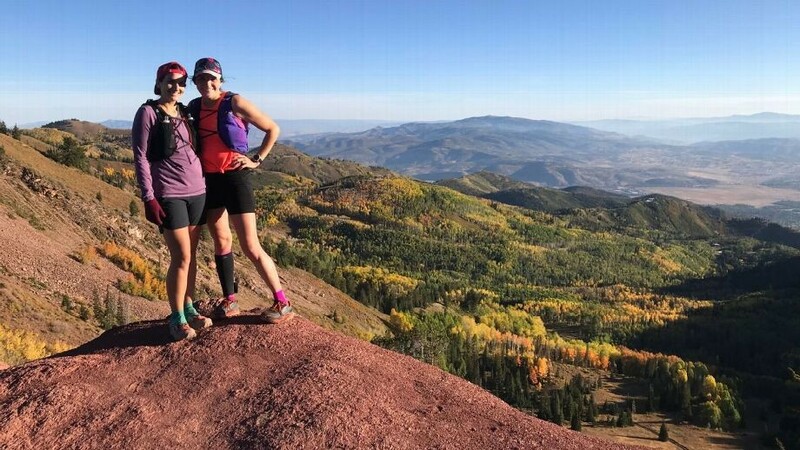 “Me and my wife both love running and have been to so many places because of it. 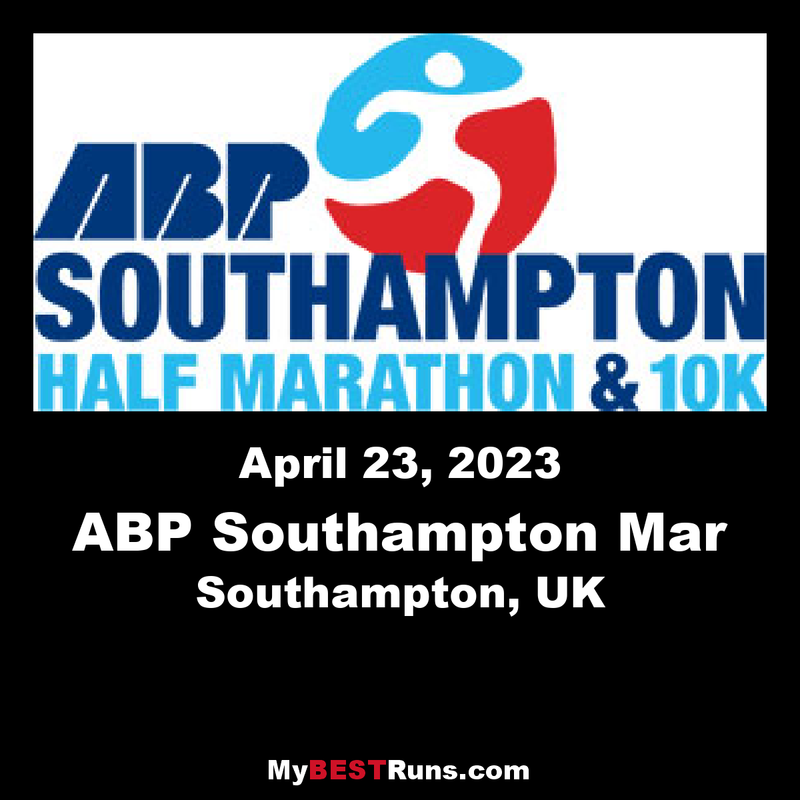 Nikki Rees, managing director for the ABP Southampton Marathon, said: “We love that our event is enjoyed by so many passionate runners around the country. 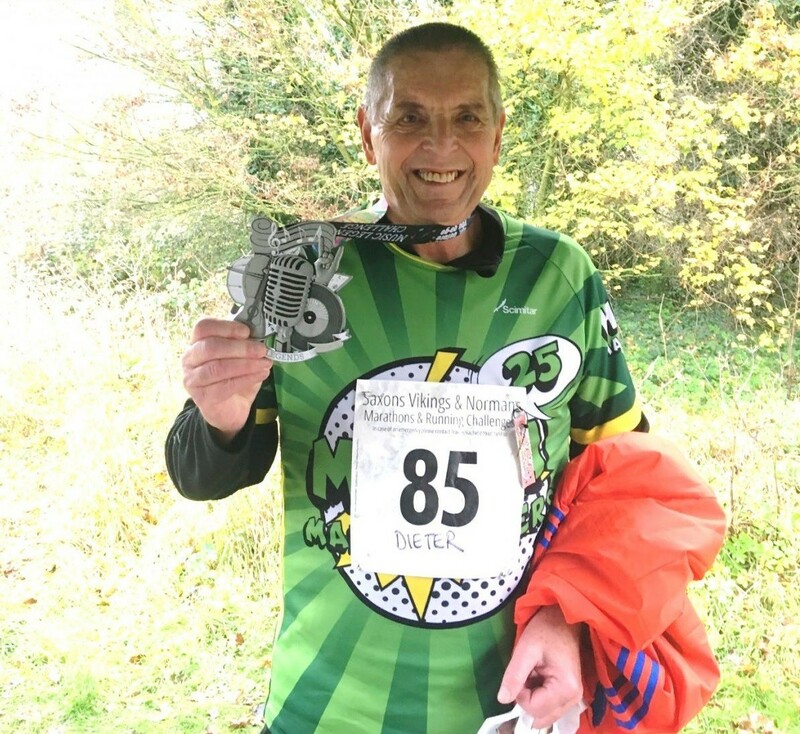 “We are excited to support Dieter as part of his 26 half marathons in 52 weeks challenge and wish him the best of luck with the rest of his half marathons.